The top section raises for overhead protection and then when not in use, reclines back into the frame itself so it’s hidden from view and creates a luxury, sofa-lounger. The synthetic rattan weave is striking in colour and manufactured to the highest standards. They are stitched into the weave itself and padded throughout with a soft and spongy filling. Laboratory Tested to withstand temperatures from -20⁰C to +60⁰C. UV Stabilised and completely Colour-Fast. Very low-maintenance for regular use and enjoyment without being ruined. 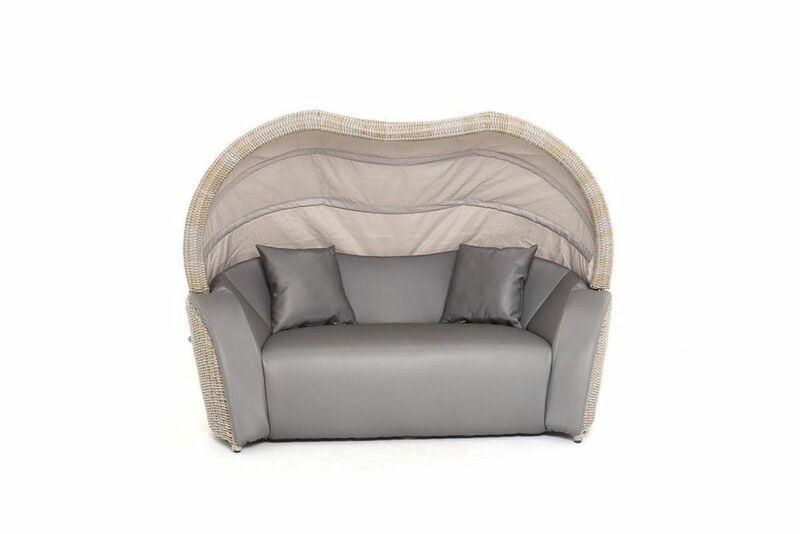 All the modern materials used in this lounger are 100% recyclable and the manufacturing processes used produce very little waste giving the whole thing an environmentally friendly feel – along with undeniable luxury that comes as standard.